The story of Dan White, coming soon. (l-r) Chief William Lellis, Larkspur FD retired; outgoing MCFCA President Chief Mark Horick, Skywalker Ranch; Dan White, Videographer. 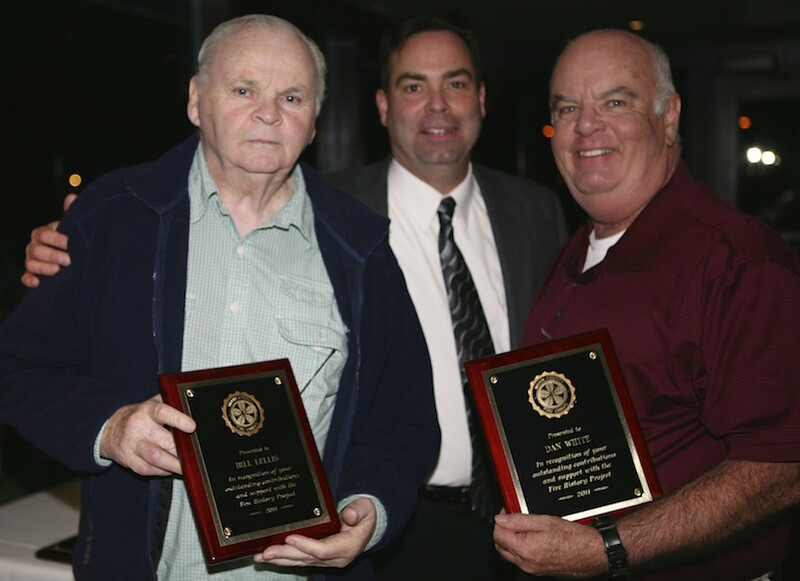 Bill and Dan were presented with plaques of great appreciation for their work on the Marin Fire History project.